Caring for a senior loved one could leave you exhausted, emotional, and stressed out. When caregiving becomes overwhelming, it’s a good idea to hire respite care, which provides family caregivers with temporary relief. Here are six warning signs you might need some extra assistance. When caregivers are under too much stress, they often experience burnout. One of the main signs of burnout is poor emotional regulation. If your patience simply isn’t what it used to be, it could be a sign you’re running on empty. You may also feel constantly frustrated and direct your frustration at people who don’t deserve it. For the busy caregiver, it can be difficult to press pause at the end of a long day and go to sleep. Some caregivers stay up late getting ready for the next day, while others experience anxiety as soon as they crawl into bed. Having an irregular sleep schedule can take a toll on all aspects of life, ranging from mental wellbeing to daily energy levels. If your role as caregiver is affecting your ability to sleep, it’s a sign you need help from a professional respite caregiver. If you’re the primary family caregiver for an elderly loved one and need additional assistance providing high-quality home care, Montgomery Home Care Assistance can help. We are a leading home care agency committed to changing the way seniors age. For caregivers, friends are lifelines to the outside world. Caregivers need to foster social connections to maintain their self-esteem and independence. If caregiving is preventing you from spending time with friends and family, make time in your schedule for socialization. Even if you hire a respite caregiver for just a few hours a week, it can give you the chance to catch up with friends. When caregivers are overworked and overtired, it often impacts their emotional health. They may develop conditions such as depression and anxiety, which makes caregiving even more of a challenge. If you’re experiencing negative thoughts or an insuperable sense of gloom, you definitely need a break. Consider hiring a respite caregiver to take care of your loved one, then visit a medical professional to discuss your emotional health. For some families, caring for a senior loved one can be overwhelming at times. Luckily, they can rely on professional respite care. Montgomery, AL, Home Care Assistance is a trusted name in respite and hourly care. Our caregivers are available around the clock to assist seniors with bathing, transportation, medication reminders, exercise, and much more, allowing families the time they need to focus on other important responsibilities or just take a break. The accumulated stress of caregiving responsibilities can also take a toll on physical health. Poor sleep, unhealthy dietary habits, and lack of exercise can increase the risk of injury or illness. If you’ve experienced high blood pressure, weight gain, or injury as a result of caregiving, it’s a sign you need to spend more time on self-care. Hiring a respite caregiver gives you the opportunity to focus on your own health. Your life shouldn’t stop just because you’re a caregiver. If you can’t remember the last time you had fun, it’s a sign your schedule needs a shakeup. Schedule respite care for your loved one, then use the opportunity to indulge in your favorite activities. Go see a movie, visit your favorite spa, or read a favorite book. People say it all the time, but it’s true: if you don’t take care of yourself, you won’t be any good to anyone else. If you’re the primary family caregiver for a senior loved one living in Montgomery, live-in care is available if your loved one’s health has become too difficult to manage without professional expertise. At Home Care Assistance, we take measures to help seniors prevent illness and injury by assisting with exercise and mobility, preparing nutritious meals, helping with bathing and other personal hygiene tasks, and much more. 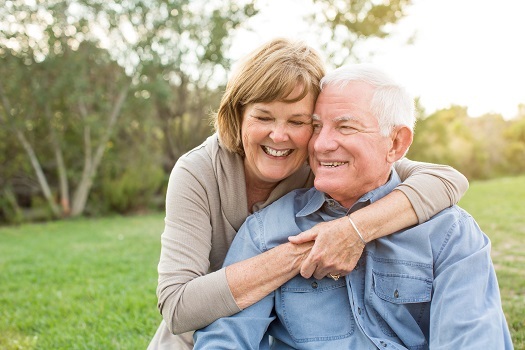 If you need professional care for your loved one, reach out to one of our Care Managers today at (334) 593-3988.